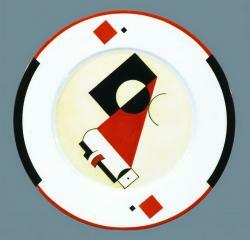 ‘After some searching, I arrived at the thought of using human symbols and the faces depicted on playing cards. 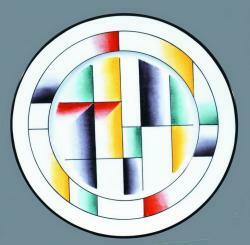 I began to paint kings, queens and jacks. 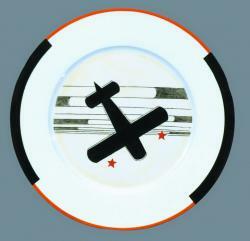 They soon began became dominant in my life as a particular sign, a symbol’. 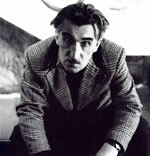 Vladimir Nikolaevich Nemukhin is one of the founders of the Lianozov group. 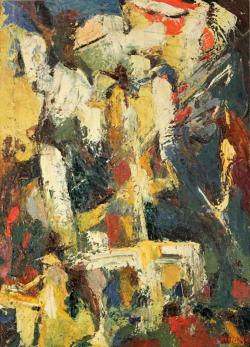 In 1974 he was involved in the ‘Bulldozer Exhibition’ and acted as go-between in negotiations with the authorities and he joined the Lianozov group. 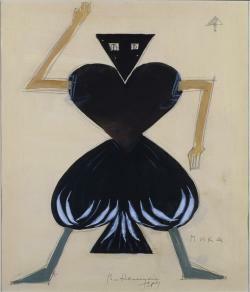 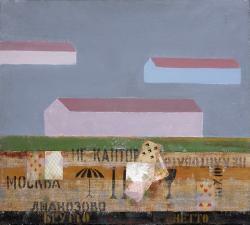 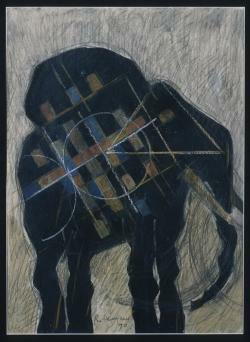 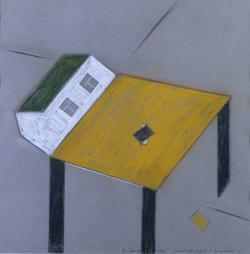 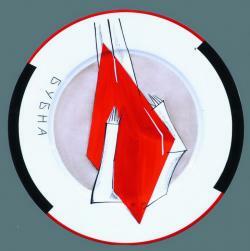 Nemukhin carries on the tradition of the Russian avant-garde. 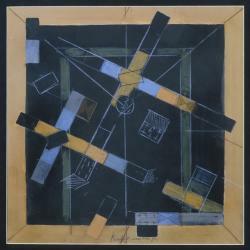 He calls the basis of his abstract compositions ‘Russian cubo-futurism’. 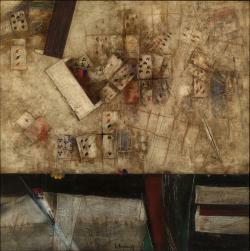 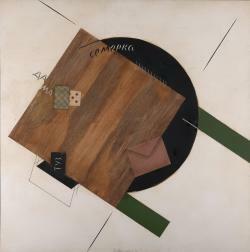 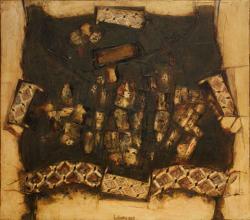 His compositions include collages, which often contain playing cards. 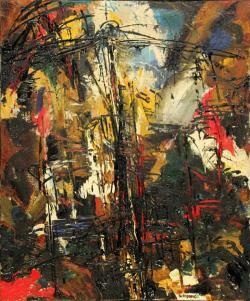 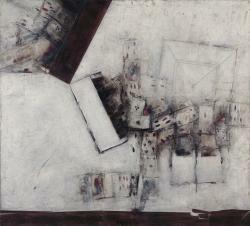 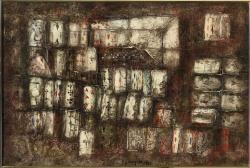 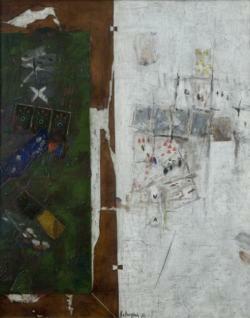 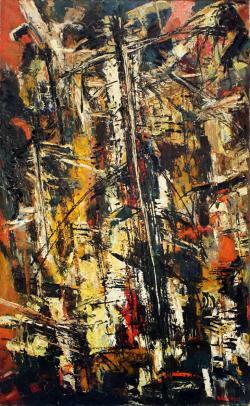 He frequently painted using mixed media, a painting-graphic technique as it were, as well as on paper (the Jack of Diamonds series from the end of the 1960’s through to the start of the 1970’s). 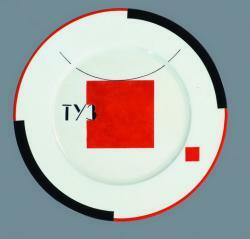 The assimilation of the picture with the subject brought his work close to the decade of the 1980’s with its pop-art. 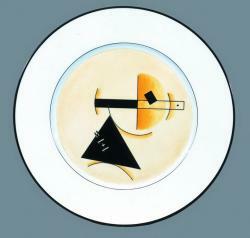 During this period he often turned to three-dimensional sculptural abstractions, biomorphic or geometrical (the ‘compositions-dedications’ series) and then, as he increasingly began exhibiting his own work, the painting and graphic plates were accompanied by large illustrations. 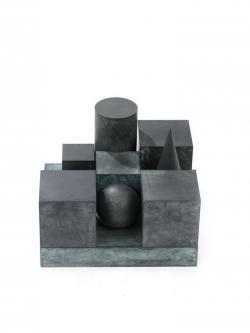 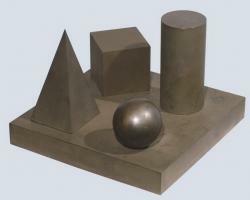 In recent years, in addition to his series of paintings and graphical works, the artist has began to create sculptures. 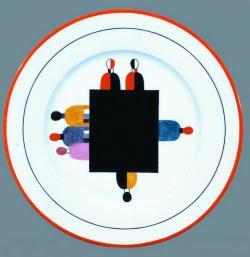 He also works with ceramic ware, paying homage to the traditions dating back to the time of Malevich, Chashnik and others. 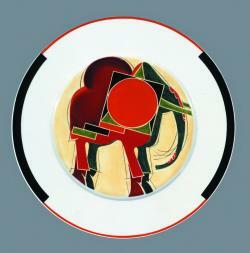 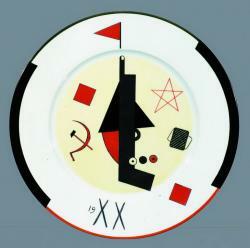 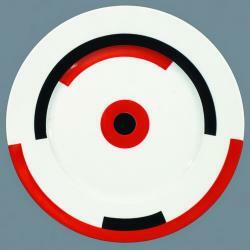 His suprematic compositions on plates also burn with red and black. 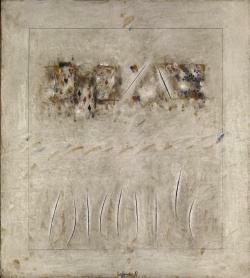 A book entitled ‘Nemukhin monologues’ was published in 1999 containing the artist’s reflections as recorded by M. Uralski. 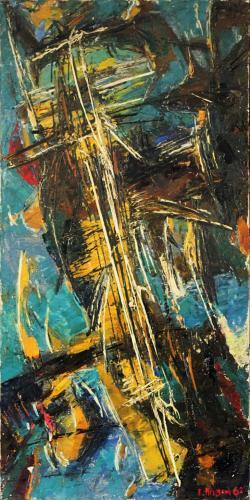 From the end of the 1960’s onwards, his paintings have also gained increasing recognition in the West, although at that time the artist was living in Moscow and Priluki. 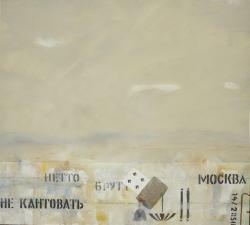 At the turn of the millennium, he was spending most of his time in Dusseldorf, Germany, continually travelling back to Russia. 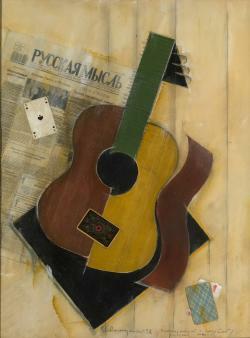 He currently lives and works in Russia.